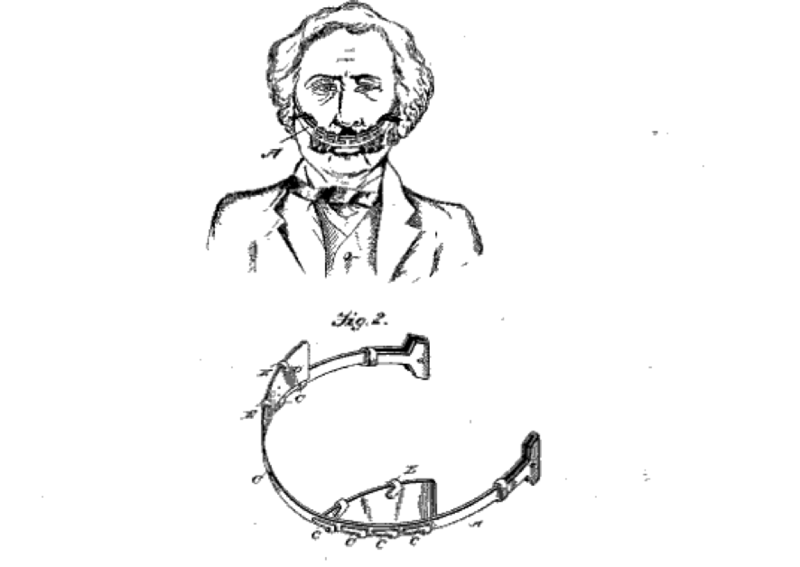 The above patent is titled “Mustache Guard.”This invention essentially holds up a mustache to keep it out of drinks and food. 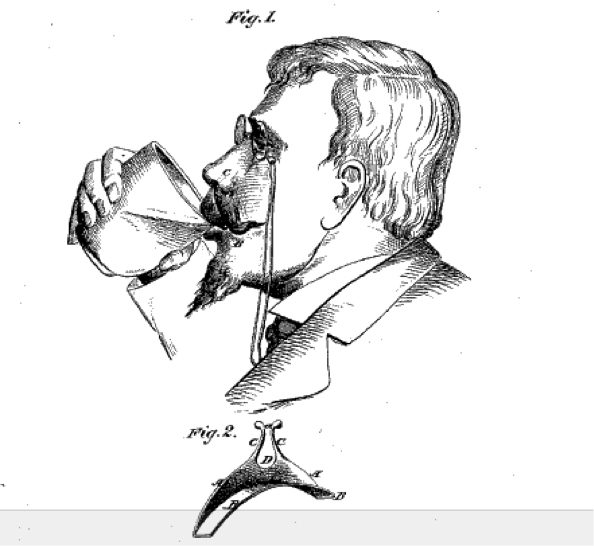 Other inventions include a “Mustache Shield” and a “Mustache Cup and Glass.” Read on for more patents. 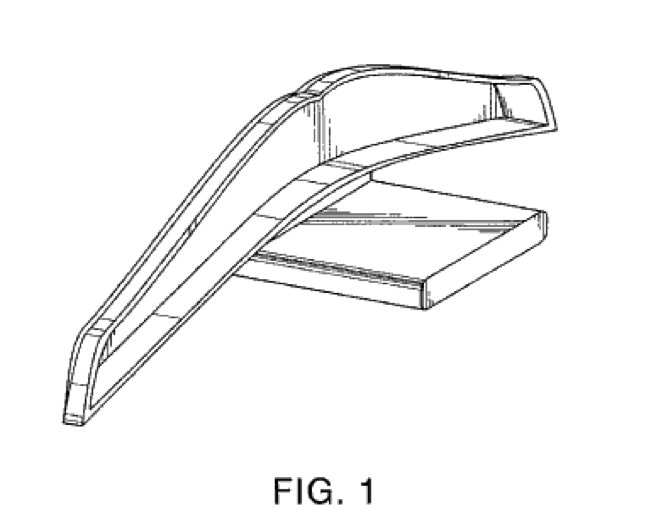 Inventor Dennis H. Bailey didn’t do too much explaining in his application for this shield. 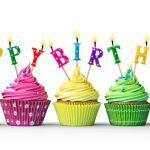 Still, the patent was granted in 1997. This device, patented by J.A. Moore in 1883, was a comb that held a man’s mustache back so it wouldn’t come into contact with food. 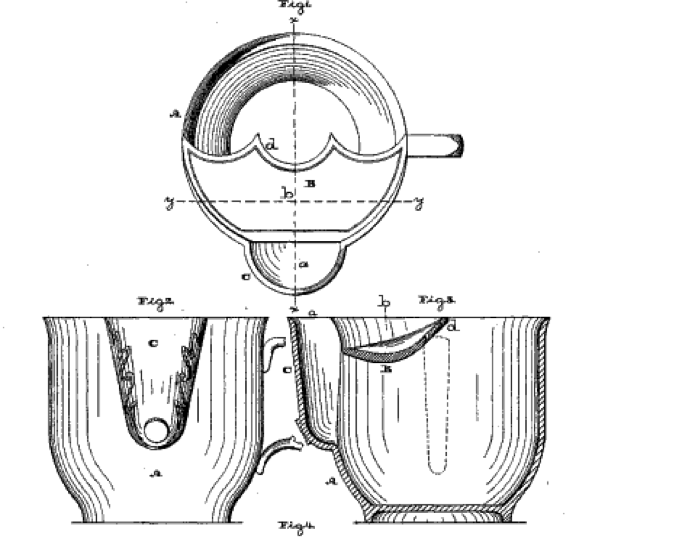 Unlike other mustache cups—which keep the mustache out of whatever a man is trying to drink—this one, patented by Albert Schenck in 1879, will make sure the guard that keeps a man’s ‘stache at bay won’t also burn the lips, all thanks to the innovative spout. 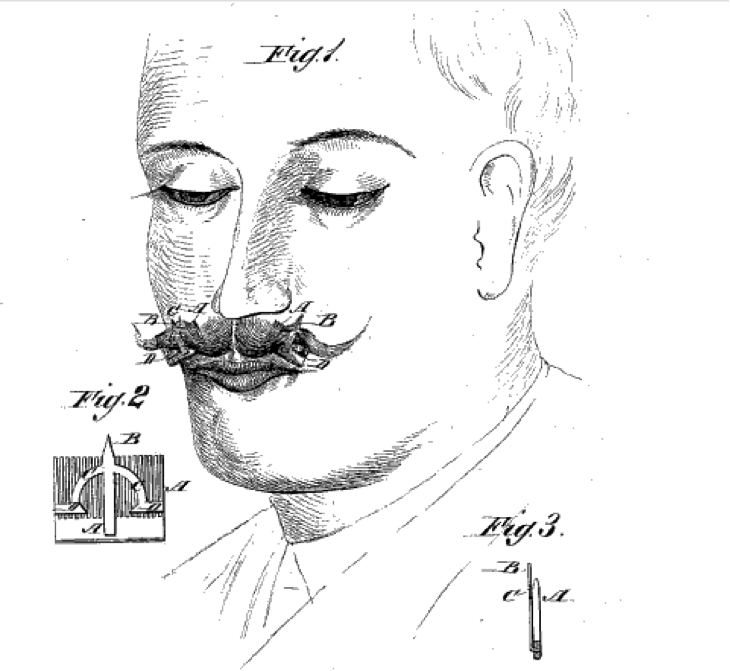 Behind this interesting looking device, patented by Louis Auguste Allard in 1889, was that, by wearing it, a man could train his ‘stache to grow in the desired form.Theoretically, he would have done this while in private. Other attempts at mustache trainers were not much better, either. This patent, filed by Eli J.F. Randolph in 1872, proves this whole mustache guard thing was more than just a passing fad. 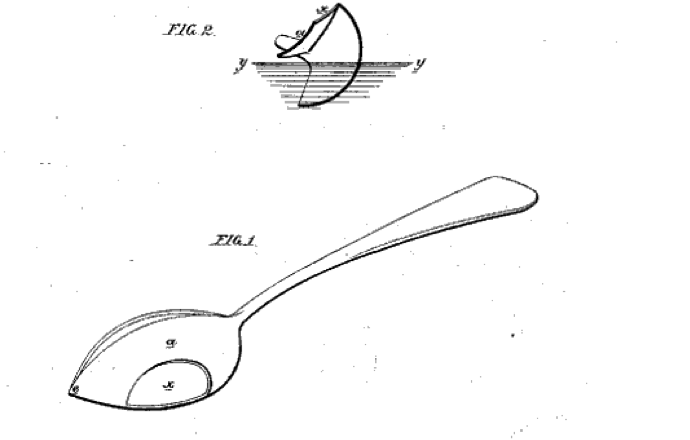 If your moustache cup isn’t working, why not try this spoon, patented by Ellen B.A. 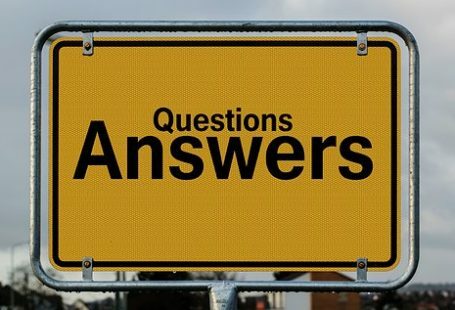 Mitchellson in 1873? 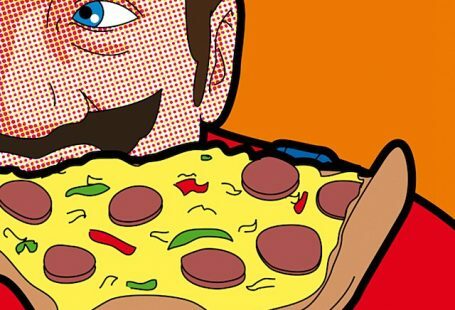 It would allow you to bring soup to your mouth without “soiling or disfiguring” your moustache. 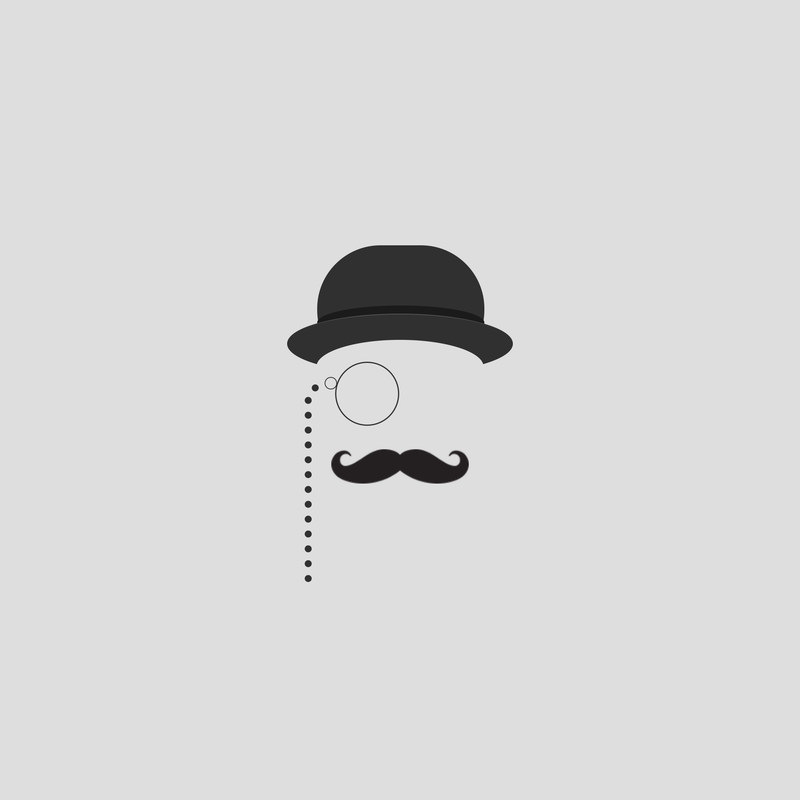 In name alone, Sideburn and Moustache Shapers don’t sound weird at all. 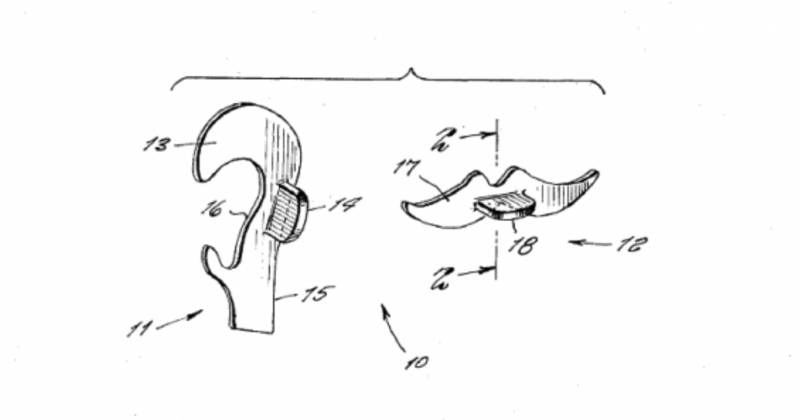 But these devices, patented in the 1970s by Catherine E. Geiger, are pretty odd—more like things you’d trace than use to tweak your facial hair. 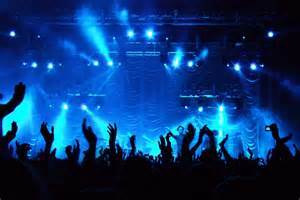 Hold them up in front of your face, trim the errant hairs, and voila! Nicely shaped sideburns and ‘stache!